Welcome to Obertrum am See, Salzburg! Rest and relaxation is what our family offers to our guests in the 3rd generation - in the heart of the Salzburg Lake District Region. 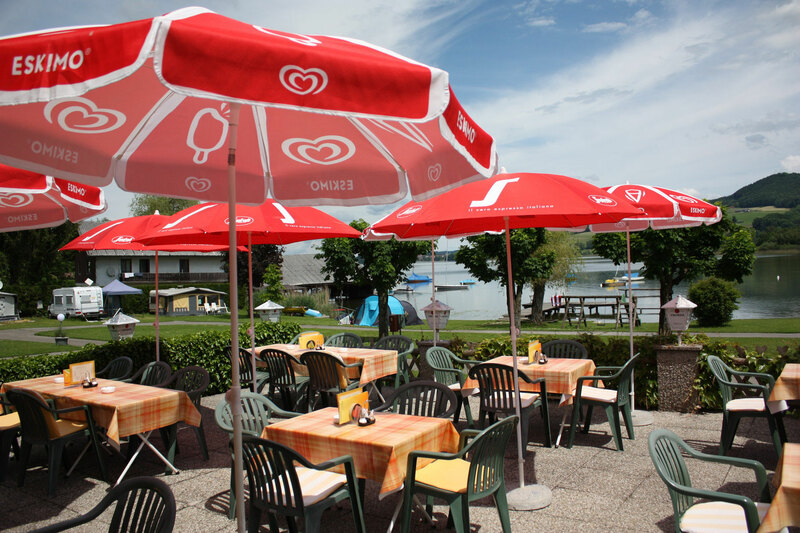 A charming little campsite located right on the waterfront, the Seestüberl cafe with its sunny terrace, three comfortable holiday apartments and a calm and pleasant lido with restaurant are recreational and easing places both for holiday guests and locals. 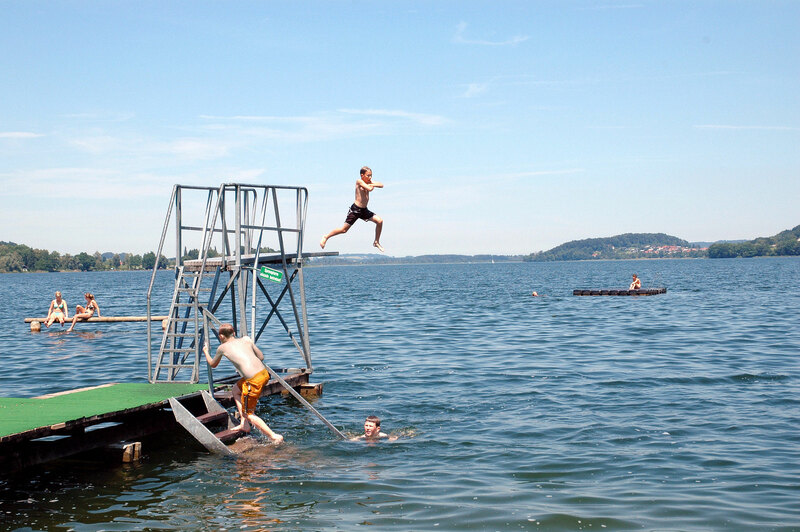 Visit us in the "Staffl-Bay" in Obertrum and enjoy the lake side of life! 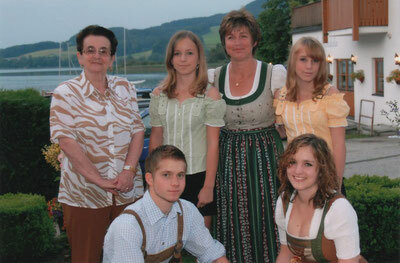 For more than 60 years now our family welcomes guests from all over the world in Obertrum am See. 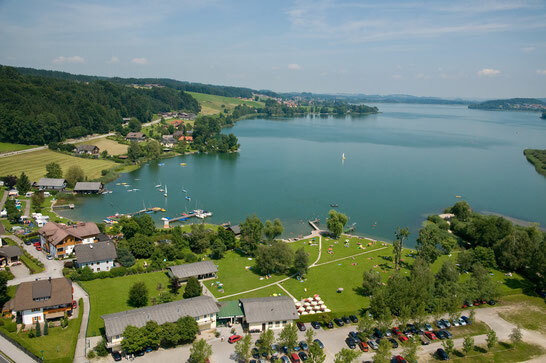 From a few private rooms on the former farm developed the campsite, the lido, holiday apartments and two gastronomic - and everything situated directly by the lake embedded in a picturesque landscape. We attribute a special value to a familiar and relaxing atmosphere and genuine hospitality - to give a carefree and memorable holiday to you is our supreme aim! 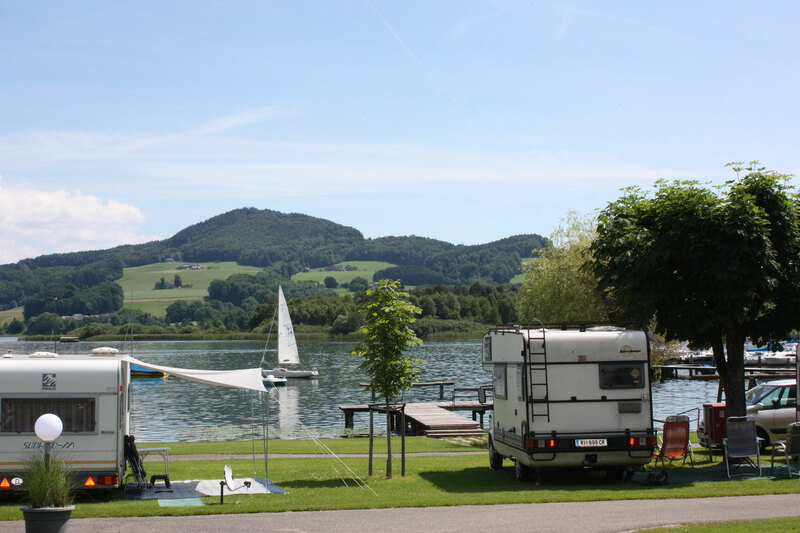 Our Campsite situated directly by the lake Obertrumer See is appreciated in particular for its beautiful location on the lakeside and the calm and familiar atmosphere on the premises. There is space for up to 25 caravans, campers and tents - always near the lake! The Seestüberl is a cafe / bistro wich lies at the entrance to the campsite. On the sunny terrace you can enjoy breakfast, cool drinks and refreshments, ice cream and some snacks. As a publicly accessible premise campers, tourists and residents meet in a casual surrounding. The Lido (Strandbad Oitner) offers calmness and recreation on a spacious sunbathing lawn by an idyllic and warm swimming lake. Several footbridges, a jump platform, a children's pool and a restaurant with daily changing lunch menus provide everyting necessary for your recovery from everyday life. 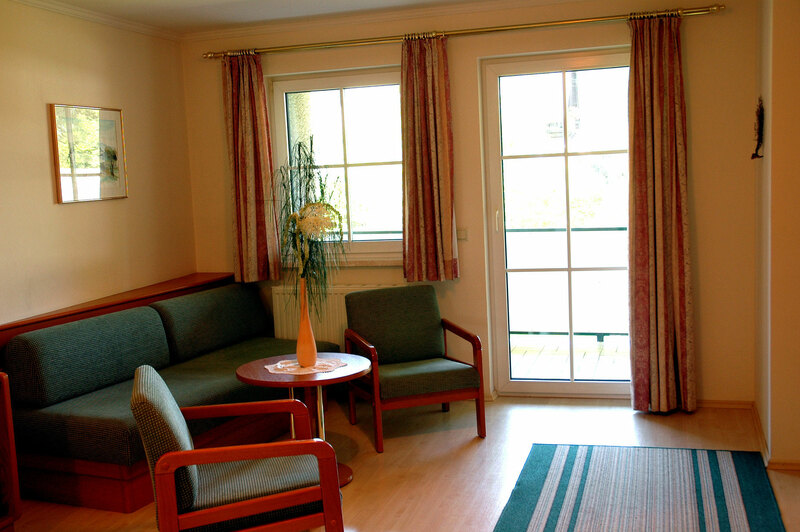 Our lakeside holiday apartments offer space for up to five persons (two bedrooms). With their own entrance to the lido, sunbeds, parasols, free WIFI, bicycle garage and a straight bus connection to Salzburg City (30 Min.) the flats are ideally suited for families, sportspeople and everyone searching for recreation. For questions and inquiries please use our contact form. Rates for the camping site you find here. Rates for the holiday apartments on request.